East Coast Muay Thai has confirmed the card for the bEast Coast INVASION 1 martial arts tournament at the Karikari Community Hall this Saturday afternoon. Note the four fights listed in italics represent national Siam Cup title shots. 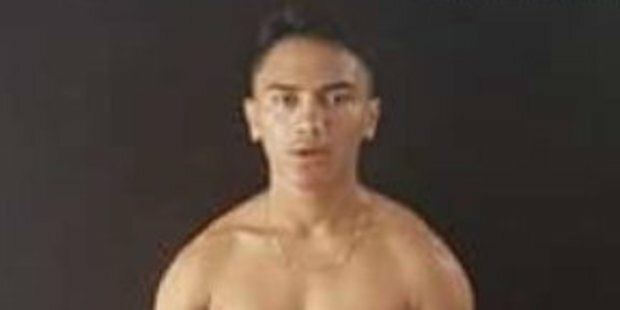 The draw is Fight 1: Awatia Tipene (representing the Tiki Tonu gym/ club) vs Kaos (Jackals), F2: Mary Jane George (ECMT) vs TBC, F3 Noah Reihana (Tiku Tonu) vs Taivero Cecil (Last Stance), F4: Soul Heke (ECMT) vs Tristan Nathan (Smac Gym), F5: Sonny Trego (ECMT) vs Alec Paenga (Jackals) in the 30-32kg division, F6: Manarangi Selwyn (Last Stance) vs Ants Maihi (Smac Gym). 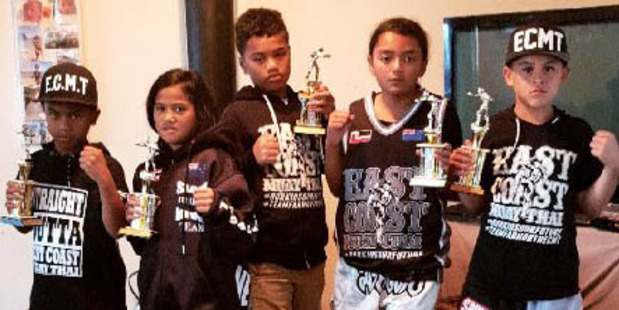 Local Manu Tepania, far left, will battle Aucklander Allejandro Tellez, for a national martial arts title at the bEast Coast INVASION 1 fight fest on Saturday. F7: Laresha Waipouri (ECMT) vs Jasmine (Tojo), F8: Dayton Reihana (Tika Tonu) vs Adam Halkyard (Flick the Switch), F9: Tumai Ratima (ECMT) vs Tatiana Osborne (TMT), F10: Lfah Trego (ECMT) vs David Halkyard (Flick the Switch) in the 50-52kg division, F11: Khya Tipene (Tika Tonu) vs TBC, F12: Tyrone Te Rure (Jackals) vs Darrell Nathan (Smac Gym). F13: Tayne Stewart (TOA) vs Levi Rangi (TMT), F14: Jason (Platinum) vs Chase Nathan (Smac Gym), F15: Mikah Churchill (TOA) vs Hayden Jones (Platinum), F16: Emma Nesbett (Nesbitts) vs Wikitoria Tipene (Tiku Tonu) 52-54kg, and F17: Manu Tepania vs Allejandro Tellez (TMT) 60-62kg. Doors are set to open at 12.30pm, food and drinks will be sold on the day (no Eftpos, cash only). For more information and bookings call or text either (021)268-4442 or (021)251-2510.